Here we are in 2018. First, I want to stop anyone from reading further who feels that their faith can be hurt by introducing ideas counter to what they have been taught in church. Ideas are like viruses. They are contagious and cause change. I have experienced this firsthand. I allowed myself to ask questions which were “off limits” to someone with a secure faith. There were many uncomfortable apparent inconsistencies and contradictions in scripture, the church, and Christians. I would have simplistic explanations for all of them until I couldn’t take it anymore. The cognitive dissonance was more than I could tolerate. At that point I allowed “what if” questions time in my thoughts. From there things continue to unwind like a cheap sweater (but I really do feel better). So, don’t keep reading if you are not already tripping down this trail. For those of you already infected, I’d like to update you on our current situation. Reading has continued, and I’d like to share some of it. One of the most influential authors has been Pete Enns. I have read two of his recent books, The Sin of Certainty, and The Bible Tells Me So. The titles say it all. I have also done a side-by-side comparison of two books that seems to be giving opposite arguments for the existence of an eternal hell. They are Love Wins by Rob Bell and Erasing Hell by Francis Chan. I found Rob Bell to have the more compelling argument. I felt Francis Chan believes in an eternal hell because Christians are “supposed” to, and not because he finds it to be in the character of God as revealed in a progressive revelation throughout the entirety of scripture. Rob Bell also came out with What is the Bible last year. It was similar to The Bible Tells Me So. I prefer Pete Enns. I think both books are good. I just relate more to the academic approach from a Harvard Doctor of Philosophy in Near Eastern Languages and Civilizations. Both books express the need to read the Bible as a text written by people living in a particular time and place for a particular purpose instead of treating it like an inerrant and infallible telegram from God. I also read a book by a Nazarene college professor Thomas J. Oord who went to NNC with my brother. His Uncontrolling Love of God was published in 2015. He is attempting an explanation to the ever vexing question: How can God be all-good and all-powerful if there is evil in the world? I found his delving into the physics of creation to be intoxicating. As a person educated in the sciences I could not get enough of this. I immediately followed Uncontrolling Love of God with another author Oord references, John Polkinghorne. I completed reading Quarks, Chaos, and Christianity to become more comfortable with a better explanation of self-imposed limitations on God which were discussed by Oord. If you enjoy Physics and would like to explore the theological implications of particle physics I can’t recommend Polkinghorne enough. It was interesting to find that Polkinghorne and the celebrated author, C.S. Lewis, are both Anglican. This sparked yet another journey. 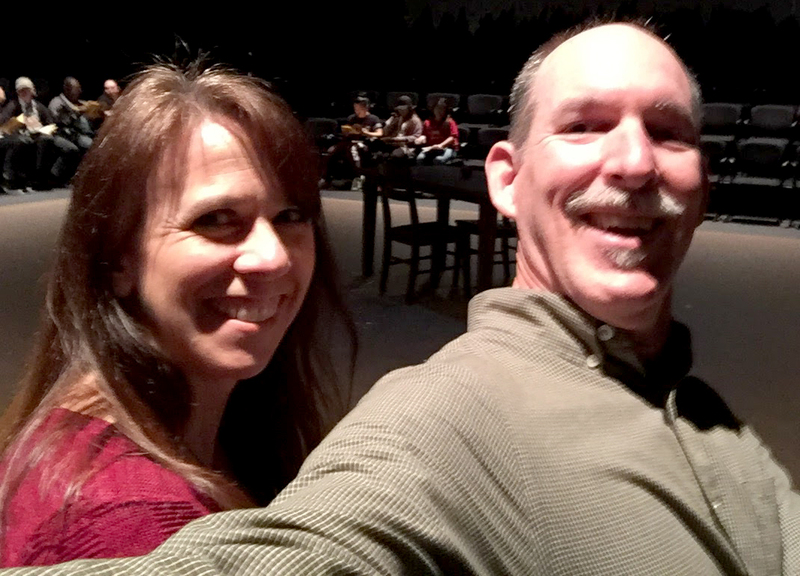 Instead of just reading different authors, LeeAnn and I decided to take a sabatical from our long-time home Nazarene church and visit some mainstream denomination churches in the area. We have enjoyed and continue to enjoy exploring the world of churches that do not have statements about scriptural “inerrancy” or “infallibility.” This includes, but is not limited to, Greek Orthodox, Methodist, Lutheran, Anglican, and Episcopalian churches. We have not left our home church. I am pleased that my home church articles of faith do not proclaim infallibility or inerrancy of scripture. One thing I want to emphasize is that I do not feel a sense of loss or dread. I am driven by the pursuit of Truth, even if it does not turn out to be exactly what I always thought the church was teaching as I grew up. It is exciting, and I am happy about discovering more about God. I actually view this as God revealing His true self to me in his gentle manner. Please comment on your own similar journey. We love sharing this experience with others who understand coming from a conservative background to a more open understanding based on experience and reason.